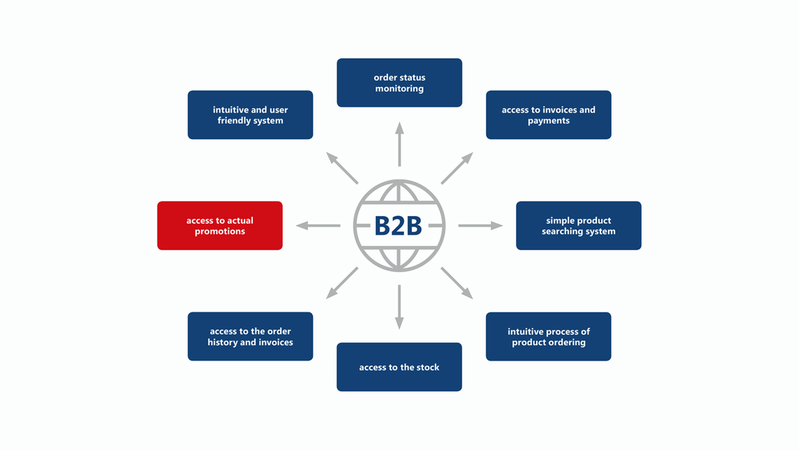 In order to facilitate easier cooperation with our customers, we have a B2B system in place for online orders. It is a web-based platform where the customers and their corresponding sales representatives can place an order from anywhere at any time, view order and purchase history, check current warehouse inventory and many other features. With a simple and transparent organization page, users can easily and quickly find what they are looking for. • Simplifcation and automation of the sales department. • Improves sales department efciency. • Customers have 24 hour access to the system every day. • Eliminates potential errors made through telephone orders. • View user order history. • Customers can receive information and messages directly. • Increases prestige and competitiveness.